The Howmans Gap Alpine Centre provides high quality educational and recreational experiences for guests visiting the Alpine National Park. Howmans Gap Alpine Centre (YMCA) is located amongst the bushland of the Alpine National Park, approximately 4km west from Falls Creek. The Centre features a mix of accommodation options sleeping up to 208 people. 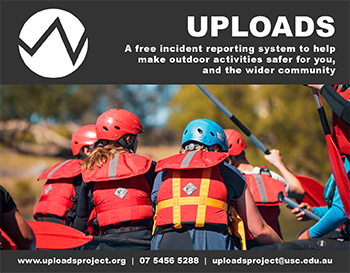 Our core business is the provision of camping, outdoor programming and accommodation to a range of user groups. During Winter, Howmans Gap Alpine Centre primarily provide accommodation services for the ski fields and support a cross-country ski centre in Falls Creek (Falls Creek Nordic Centre). The position will start in mid June and contine through until end of August 2019. Finish date negotiable. The position is 38 hours per week with 4 days on, 3 days off.The position is The Howmans Gap Catering Coordinator is critical to the safe enjoyment of our guests. The Catering Coordinator is a critical and regular interface between guests and the organisation. Guests have a high expectation of food being fresh, healthy and tasty. Additionally great care must be taken to ensure food hygiene is an absolute priority including; robust systems, regulated cleaning, strong practices for allergy management and high standards for kitchen staff. Please apply with your CV and cover letter. Applications close April 23 2019.